Despite being active, Jackson (ankle) didn't see game action in the Bears' 16-15 playoff loss to the Eagles. 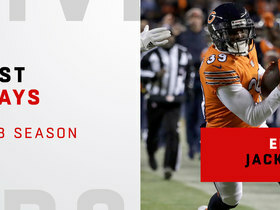 Analysis: Jackson was a playmaker for the Bears this season, as he forced two fumbles, picked off six passes, and scored two touchdowns in addition to securing 51 tackles. Next season, he'll go into the third year of his rookie deal that expires in 2020, and he'll be a great upside pick in IDP leagues, based on his ability to make big plays. However, unless he begins to add to his tackle totals, his weekly floor will be problematic. Jackson (ankle) is active for Sunday's wild-card game against the Eagles. Analysis: Jackson was listed as questionable after practicing on a limited basis Thursday and Friday. The 25-year-old sat out the final two games of the regular season with the right ankle sprain, but he's all set to go for the Bears' potential playoff run. Jackson (ankle) is listed as questionable for Sunday's wild-card matchup with the Eagles. Analysis: Jackson managed to practice in a limited capacity both Thursday and Friday, marking his first on-field activity since spraining his right ankle against the Packers on Dec. 16. No matter, coach Matt Nagy called Jackson a game-time decision after the latter session. Per Stacey Dales of NFL Network, Jackson himself expects to play, but such a decision won't be confirmed until the Bears release their inactive list approximately 90 minutes before Sunday's 4:40 PM ET kickoff. Jackson (ankle) was a limited participant in Thursday's practice. Analysis: Jackson hadn't practiced since spraining his right ankle in the Bears' Dec. 16 win over the Packers, so this amounts to the first noteworthy progress in the safety's recovery. The Bears remain hopeful the star safety can suit up in this weekend's wild-card matchup with the Eagles, but he may need to increase his activity at Friday's practice for the team to feel truly confident about his availability. Jackson (ankle) didn't practice Wednesday, Rich Campbell of the Chicago Tribune reports. Analysis: The wet field conditions could have impacted Chicago's decision to keep Jackson off the field for their first official practice of the week. Either way, Jackson's status for Sunday's wild-card matchup with the Eagles remains in limbo after the right ankle sprain sidelined him for the final two regular-season contests. The Bears will do everything they can to ensure one of the league's top safeties can strap up, but his availability will ultimately come down to a decision from the medical staff. Jackson (ankle) is inactive for Sunday's game against the Vikings. 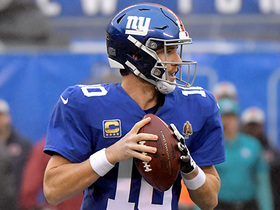 Analysis: Listed as doubtful heading into the weekend, Jackson was never a likely bet to suit up in the regular-season finale. Though the star safety will miss a second straight game, he should have a decent chance at making it back for the postseason, especially if Chicago is able to clinch a first-round bye with a win Sunday coupled with a Rams loss to the 49ers. Deon Bush is in line to make another start in Jackson's stead. Jackson (ankle) is doubtful for Sunday's game against the Vikings, Dan Wiederer of the Chicago Tribune reports. Analysis: Jackson sat out last week's win over the 49ers due to a sprained ankle and is trending towards remaining sidelined for the season finale. Given that the Bears can only move up to the No. 2 seed in the NFC if the 49ers manage to defeat the Rams, it appears likely that Chicago will rest Jackson for the playoffs. Coach Matt Nagy relayed Jackson (ankle) will be a non-participant at Wednesday's practice, Patrick Finley of the Chicago Sun-Times reports. "We think [Jackson is] getting better," Nagy said. Analysis: Jackson has been a lynchpin of the Bears' dominant defense this season, totaling 51 tackles, six interceptions, three touchdowns, two forced fumbles, one fumble recovery and one sack in 14 games. A sprained right ankle is affecting him down the stretch, and while a first-round bye is on the line this weekend in Minnesota, the Bears likely are more focused on getting Jackson healthy for the playoffs. Jackson (ankle) didn't travel with the team and was ruled out for Sunday's game at San Francisco. Analysis: Jackson was officially considered doubtful as he deals with a right ankle sprain sustained last week against the Packers, so this was to be expected. The 25-year-old will look towards a potential return Week 17 against the Vikings, with Deon Bush expected to take over the starting role at free safety in the meantime. Jackson (ankle) is listed as doubtful for Sunday's game at San Francisco. Jackson (ankle) won't practice Wednesday, Rich Campbell of the Chicago Tribune reports. Analysis: Coach Matt Nagy told Campbell that he's "cautiously optimistic" Jackson isn't dealing with a season-ending injury, though Nagy may be referring to the playoffs rather than the final two weeks of the regular season. Deon Bush likely will replace Jackson in the starting lineup in Week 16 at San Francisco, representing a sizable downgrade for the Bears defense. Jackson has already piled up 51 tackles, six interceptions, two forced fumbles, a fumble recovery and three touchdowns this season. Coach Matt Nagy said he doesn't think Jackson's ankle injury is season-ending. Analysis: Listed on the Week 15 injury report with a shin issue, Jackson sprained his right ankle in the process of making his sixth interception of the season. He doesn't look good for Week 16 in San Francisco, but the Bears at least are optimistic the star safety will be available at some point before the end of the season, even if it's only in the playoffs. Jackson likely will start the week absent from practice. Jackson sprained his right ankle in Sunday's 24-17 win over the Packers, Patrick Finley of the Chicago Sun-Times reports. Analysis: Jackson hurt himself after he went down awkwardly on a fourth-quarter interception, his sixth of the season and fourth in the last five games. Adam Schefter of ESPN reported afterward that the team should know more about the extent of Jackson's injury within the next 24 to 48 hours, but the 25-year-old is almost certain to miss time. Deon Bush would fill in at safety if that is the case. Jackson (shin) is active for Sunday's game against the Packers, Brad Biggs of the Chicago Tribune reports. Analysis: The shin injury has been nagging Jackson for the past two weeks, but it only forced one absence from practice Wednesday through Friday. It's likely that Jackson was just receiving a maintenance day Friday, so he should be available to play his usual high volume of snaps. The safety has been an IDP star this season, accruing 45 tackles, five interceptions, two forced fumbles, a sack and three total touchdowns. Jackson (shin) is listed as questionable but expected to play Sunday against the Packers, Chris Emma of 670 The Score reports. 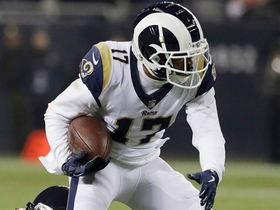 Analysis: Jackson played through this shin injury against the Rams last week, when he logged one solo tackle, three defended passes and one interception over 63 defensive snaps. The Alabama product has 45 tackles (36 solo), 13 defended passes, five interceptions, three touchdowns and two forced fumbles on the season. If Jackson suffers a setback, Deon Bush would likely see a bump in workload. 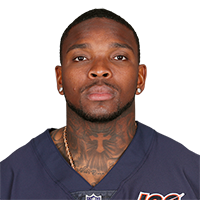 Jackson intercepted a pass while adding six tackles in the Bears' 15-6 victory over the Rams on Sunday. Analysis: Jackson's been on fire over the last six weeks, as he's picked off four passes, recovered a fumble, and scored three times. Although he hasn't collected more than six tackles in a game this year, there are few IDPs who offer more weekly upside. Jackson (shin) is listed as active Sunday versus the Rams. Jackson was added to the Bears' injury report Friday due to a shin issue and is listed as questionable for Sunday's game against the Rams. 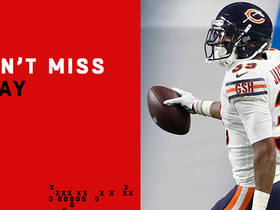 Jackson has "a handful of plays" in the Bears' offensive playbook, Dan Wiederer of the Chicago Tribune reports. Jackson returned an interception for a touchdown while adding three tackles in Chicago's 23-16 win over the Lions. 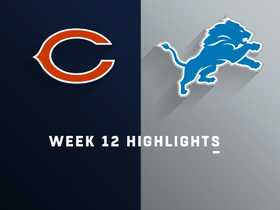 Analysis: For the second week in a row, Jackson came up huge with a pick-six, and in this game, his big play came in the fourth quarter to give the Bears a road win. Although he hasn't been posting strong tackle numbers, he has four interceptions, a sack, a fumble recovery and three scores on the season. There are very few defensive backs with the weekly upside that Jackson possesses. 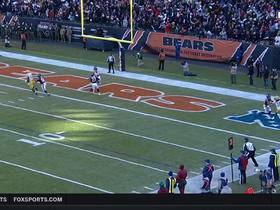 Jackson returned an interception for a touchdown in the Bears' 25-20 win over the Vikings on Sunday. Analysis: Despite failing to secure a single tackle, Jackson had a huge fantasy day by intercepting Kirk Cousins and returning it for a score. Over his last eight games, he's intercepted three passes, recovered a fumble, and posted a sack, while notching two total scores. That productive stretch has rendered him an upside IDP option. 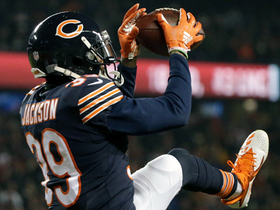 Jackson returned a fumble for a touchdown while adding five tackles in the Bears' 41-9 victory over the Bills. Analysis: Although he's had a number of weak fantasy performances throughout the season, he's intercepted a pair of passes along with a sack before this week's big stat line. Based on the number of big plays he's made in his two seasons with the Bears, he's the type of player on whom fantasy managers can gamble if in need of an upside performance. Jackson intercepted a pass while adding three stops in Chicago's victory over the Buccaneers on Sunday. Analysis: Jackson now has two interceptions along with a sack in four games, and although he's yet to post more than three tackles in a game, his big-play ability gives him significant weekly upside. He'll be back in action against Miami after the Bears' bye week. Jackson picked off a pass while adding three tackles (two solo) in Sunday's 16-14 victory over the Cardinals. Analysis: Jackson has yet to record more than three tackles in a game in 2018, but he's had a sack and an interception over the last two weeks, which is an example of the upside he showed on occasion last year when he was a rookie. Although he's not yet a star IDP, his weekly upside makes him a strong streaming option. Jackson collected 11 stops in the Week 17 loss to the Vikings, ending the season with 73 tackles, two touchdowns, two interceptions and a forced fumble in 16 games. Analysis: Jackson was an uneven IDP performer over the Bears' first 11 games, but recorded at least five tackles in each of his last five games while averaging seven tackles during that span. He'll enter the second year of his four-year rookie deal in 2018 and should be considered a top IDP at the safety position, as he should continue to show improvement with a full season under his belt. Jackson recovered a fumble while collecting eight tackles in Saturday's loss to the Lions. Analysis: Jackson's posted more than six tackles for the second time this season, and with at least five tackles in each of his last three games along with an interception and a pair of fumble recoveries, he's been a strong fantasy option down the stretch of his rookie season. Jackson recovered a fumble while adding five tackles in Sunday's win over the Bengals. Analysis: Jackson matched his third-highest tackle total of the season while recovering the second fumble of his rookie campaign. Aside from a huge game in Week 8, he's had too many nearly-invisible performances to be a reliable IDP option. Los Angeles Rams quarterback Jared Goff slings pass to wide receiver Robert Woods for 29 yards. 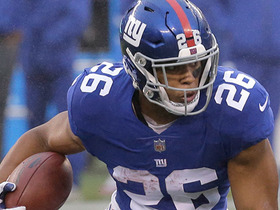 New York Giants running back Saquon Barkley runs through the defense for a 29-yard gain. New York Giants wide receiver Odell Beckham Jr. goes over the middle for a 20-yard gain. 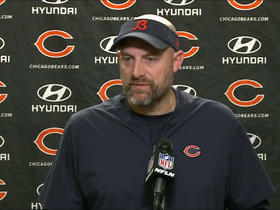 Chicago Bears head coach Matt Nagy talks after the Bears' Week 12 win against the Detroit Lions.